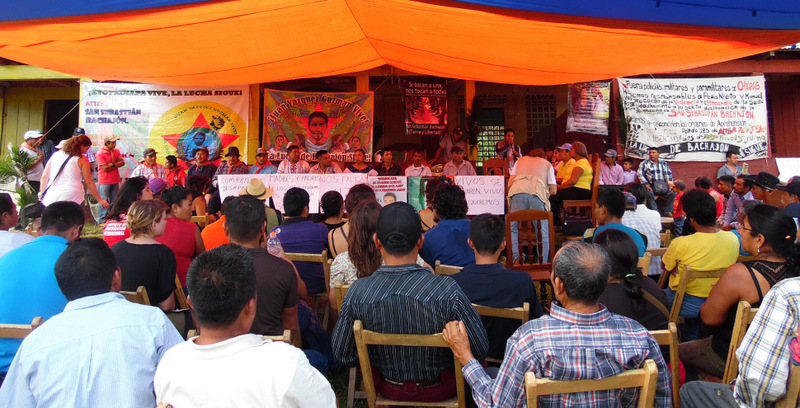 The parents of the student compañeros from Ayotzinapa visited the ejidatarios of San Sebastián Bachajón in their community to share their struggle. The following are the dignified words of the compas of San Sebastian Bachajón, shared during the visit. Dear brothers and sisters you are welcome in these rebel lands of the territory of San Sebastian Bachajón, we embrace your struggle, your pain, your rebel dignity which is like ours; know that we walk together to demand the presentation alive of the 43 missing compañeros forcibly disappeared by the bad government. Because they were taken alive, we want them back alive. Our organization understands your struggle because we are also struggling against the injustices of the bad government that wants to take our land, water, biodiversity and has asassinated our compañeros the social activists and human rights defenders like Juan Vázquez Guzmán on 24th April, 2013 and Juan Carlos Gómez Silvano on 21st March, 2014. We are tired of the abuse and corruption of the bad government that seeks to benefit economically from our natural resources, from our knowledge and the wealth of the territory, but the poverty and hunger in the communities do not matter to them because at election time they have a way of taking advantage of the needs of the poor and the lack of awareness of many brothers and sisters, giving out their crumbs and material things which give no solutions for the present and future of the communities, because they only cause them to remain even poorer. Compañeros and compañeras, fathers and mothers of the 43 students from Ayotzinapa who were forcibly disappeared by the bad government, we give you all our solidarity and support, we will not rest until justice is done and the bad government presents them alive. We greet the teachers’ struggle, the communities and organizations in resistance, the collectives and people from below who scorn this corrupt and exploitative system, and those who are opening their eyes and rejecting the corrupt electioneering system that legitimizes the thieves who say that they are popular representatives. 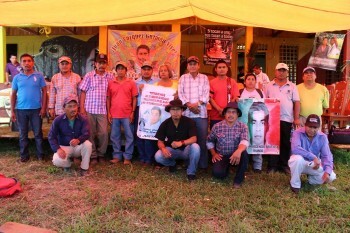 We demand the liberation of political prisoners in Mexico and the world, including our prisoners in Yajalón JUAN ANTONIO GOMEZ SILVANO, MARIO AGUILAR SILVANO and ROBERTO GOMEZ HERNANDEZ; our prisoners in Playas de Catazajá SANTIAGO MORENO PEREZ, EMILIO JIMENEZ GOMEZ; prisoner in Amate ESTEBAN GOMEZ JIMENEZ. Because they were taken alive, we want them back alive!